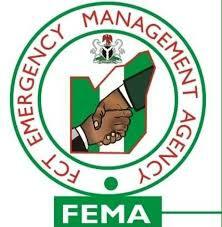 The FCT Emergency Management Agency (FEMA) on Friday confirmed the information about the earth tremor witnessed in some parts of the F.C.T. They were also quick to assure residents of the F.C.T that there was no likelihood of earthquake within the territory and the country, adding that the earth tremor was only in Mpappe and its environs on Thursday. Residents of the Federal Capital Territory were alarmed by the sudden shake of the earth in the affected areas which was their first experience in many years. The tremor instilled fear in the residents, resulting to confusion about the cause of the terrific happenings around them. The Director-General of the Agency, Mr Abass Idris, had said there is no cause for alarm. In a press statement; He informed occupants of the FCT that the earth tremor is a sign of seismic movement within the earth. This is often caused by sudden breaks along a fault line which results in sudden release of energy that makes the ground to shake. FEMA also stated that it is caused by stress in underground rocks and may be due to rock blasting and mining activities within the area.